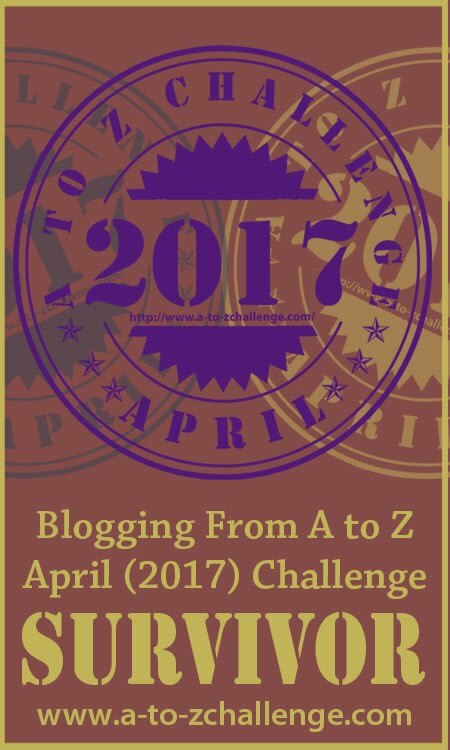 Blogging from A to Z April Challenge: Sign-Up List Now Open for the Seventh Annual A to Z Challenge! 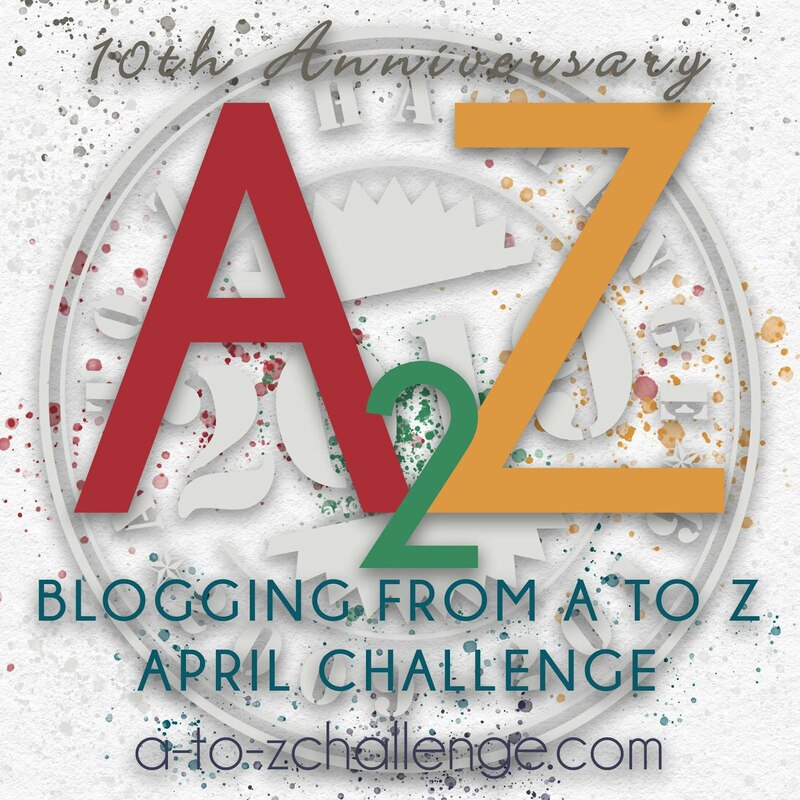 Sign-Up List Now Open for the Seventh Annual A to Z Challenge! 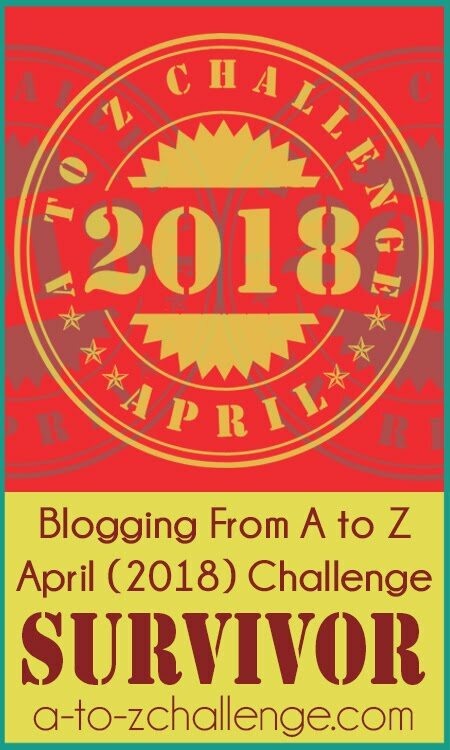 Welcome to the seventh annual A to Z Blogging Challenge! To streamline legitimate blogs from advertisement blogs, the Co-Hosts will be visiting each blog on this list throughout the Challenge. Once the Challenge begins, blogs showing no activity or those that miss five days in a row will be removed. I DID IT!!! I'm signed up! Signed up! But I forgot to append GA to my entry. I signed-up (wish me luck). I didn't append a code because my blog flits between history, humor, entertainment, science, crafts... but no adult content, so think I'm good. Looking forward to my first A to Z! And we've hit a hundred already! Me neither! It looks like we're not alone. It does say it's optional. This will hopefully give me the push to make my blog more of a priority than I have. Looking forward to the challenge! I don't see the button code for this year's button. Am I missing it somewhere? Thanks! I am in this year too, now I am thinking what to write. Have to find a theme. 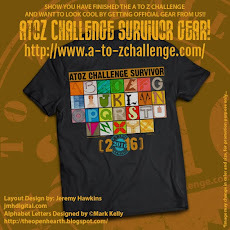 So excited since I just love the AtoZChallenge. Excited and signed up too! This is my first time! How do we grab the badge and display it on the sidebar of our blog? I couldn't find the html code for this year's badge. yay! joining for the 2nd time! Third time for me! ☺ Psyched that I got in earlier this time. 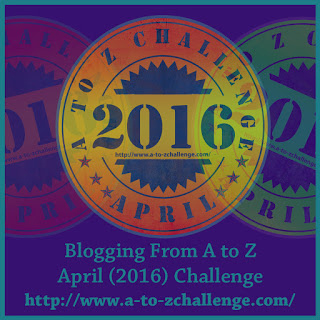 I'm excited to participate in A to Z for the 3rd time! I accidentally put my website as entry #141. Oops! I reentered the blog (with a code) as entry #142. Could someone please delete entry #141? Sorry for the inconvenience! At the end of the list, it reads "You are next... Click here to enter." Just click and enter your info. and you'll be added! Already entered early this morning but yay to all the entries. Nearly 200 and it's not even noon yet. We are going to have one hell of a time come April. I don't see the signup list at the bottom of the post nor a link at the top to the signup list (used to be there. . .) IS this on WordPress or something which I can't access? I do not see it and I know what it looks like from previous years. . . This'll be my fifth time, and my third time with two blogs. Looking forward to seeing the alphabet buttons to add to each post! My third time and I'm excited. Nice to be back. Now the signup link is showing. I signed up on Lee's blog, Tossing it Out. I could see the link there. Why isn't there a link to the signup separately at the top of the blog? That made it easier to access in the past. First timer here!!! Looking forward to the challenge and finding new blogs. I'm a little confused. (This is my first time investigating a writing challenge). It says above the board closes on april 4 but the challenge is supposed to run through April? Also, how many words should each post include per letter? THANKS. Participant sign-up does not last through the whole Challenge. This is a blog Challenge. You are posting anything you want on your blog. On April 1, blog about something that begins with the letter “A.” April 2 is “B,” April 4 is “C,” and so on. You can use a theme for the month or go random – just as long as it matches the letter of the alphabet for the day. Going to be another great year, Jen! We hope you will join us! We love awesome themes! Sorry that you had difficulty, but we're glad you signed up. There will be a separate page tab shortly. Each year I want to get my name close to the top of the list and each year I forget about it on the day the list opens! But I'm in again for Year #3. Looking forward to it! Glad it got sorted out. Welcome back! Sneha - Were you able to sign-up? Stephanie - Thank you for helping out! That's great, Debbie! Looking forward to another year! You can right click and save. The html will be available soon. Are you still having trouble signing up? That's a great reason to join! Going codeless is very freeing. Welcome! The codes were optional. As long as you're on the list! In 24 hours there were already 304 people before me! Just posted this question on the FB page but just in case thought I'd ask here: Are the A-Z letters available to put in our posts? If so, how can I access them? Thanks! This will be my first year participating officially. I saw some blogs doing it last year. It looked like a lot of fun. The Art Department is working on them. I'm signed up, not problem there. I like to put the button on my sidebar but don't see a code for the 2016 button/badge this year. Normally it's right below the badge? I was so going to do this over at The Rock of Pages this year, but of course, you can never see what's coming down the pike, even when what comes down the pike doesn't injure your eye. And I'm sick about missing the fun. A whole month of A-Z Rock Fiction style??? Just too good to pass up. But... we all do things we don't want to do, and in this case, passing is better than losing my eye (or only my vision in the eye), so... I plan now for next year. Well, then we look forward to next year! Signed up. Decided to do as always and blog about whatever comes up. Looking forward to it. Hi Susanne! Yes. Random is awesome! That was my question too, re: the A - Z Letters. It's my first year participating, and really looking forward to it. My blog title is Welcome to Greenham's Yacht. OMG Helen, me too. I put WR i/o BO. Here we go again! I signed up, but boy am I ever way down on the list. Let's just hope life doesn't get in the way to where I can't keep up. I feel before too long there will be many transitions in our lives and when I hit that bump it's going to be really, really difficult to do much. That being said, I will give it a try and if I can't then I will let y'all know. Thanks for hosting the fun and here's to another great year to participate in this amazing challenging again! After almost 4 months of sabbatical from blogging, I'm in at 423! Came up with my theme yesterday and made refined the name and decided on a hook today. Can't wait! First timer! This whole challenge seems very exciting. Hope to make it through the 26 days.. Looking forward to meet other bloggers too. can't wait! Where do we get the A - Z Letters? Hi, I entered and put a post to my blog. I put in your logo. I hope this is o.k.?! I signed up but forgot to put what my blog is about (WR)...is there a way to add that in without signing up twice? My blog is Pushing the Pen #566 on the sign up list. Thanks! I'm looking forward to this year! Hi! Sadly, we have a policy against adding tags after you signed up :/ Sorry! Signed up! Looking forward to April! Not selected any category as I am still unsure of the theme! Any help on how I can get in the team of any of hosts/co-hosts? Now that I have signed up what will happen next? Must I wait until the 1st of April? And how will I see other bloggers posts? You should begin planning out your April strategy and preparing your posts ahead of time if you want to avoid stress during the Challenge. 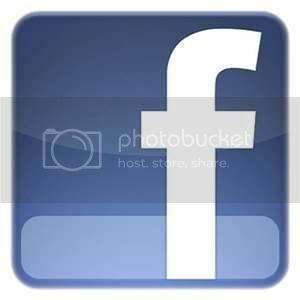 You see other bloggers posts by clicking links on the list, finding them on the A to Z Facebook page, and following back the links of those who comment on your site. You need to be active with commenting in order to get the optimal traffic at your own site. Starting at the sign-up list is probably the best method and actually you can start visiting blogs on this list now so you can begin establishing some blog relationships. Networking is the main strength of A to Z and each participant needs to take initiative on this. 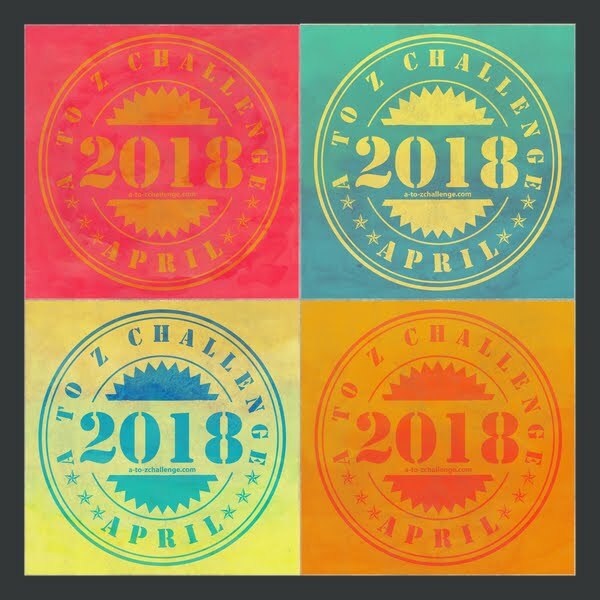 #1330 Signed up for our first A-Z Challenge. We are a new Blog and feel that this will help us get started! Is it too late to sign up? I just found out about this yesterday and would love to participate! Oops, a little goof at #1532 for BooksYALove: I posted my A2Z announcement blog post on the Linky, not just my blog address. Hope folks will follow the rabbit trail to my actual A to Z posts if they get that far down this awesome list of bloggers! Go for it Heather! Sign ups stay open for a few more days! I signed up yesterday. Do we get an email confirmation or do we just start posting on 1st? #atozchallenge - Boost the signal! New Year, New A to Z, New Goals!